That’s what happened when news got out on social media about Etihad Airways’ Christmas Day error fare. Hundreds of travelers from the massive Nomadness Travel Tribe group booked Eithad flights on Christmas day 2014. The group of more than 9,000 frequently traveled, mostly Black millennials have booked over 400 flights to the Middle East, Asia, and Africa for leisure travel in just the first two months of 2015. Another large group of traveling millennials also with thousands of followers have earned about a half million miles in 2014. That’s the power of millennial travelers, and their travel plans are driven by peer-to-peer influence, deep engagement, and creative storytelling. Today’s travelers are no longer just the elite, older traveler. Millennial travelers have spending power and a passion for seeing the world, and they make up 20% of international travel. They choose destinations that allow them to get new experiences like interacting with the locals, eating exotic foods, trying a new adventure, taking the coolest selfies, curating their travel experiences through video, and bragging all about it to their social media friends. 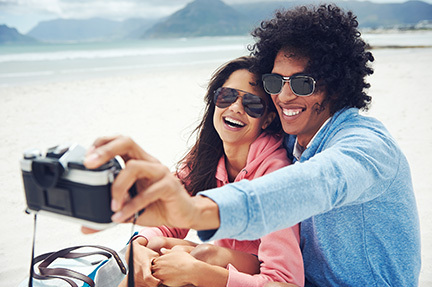 How is your destination engaging and attracting millennial travelers? Traditional marketing and advertising should not be your strategy for millennials. Millennials need to be deeply engaged and inspired!